Of course I meant £2,000 per channel! 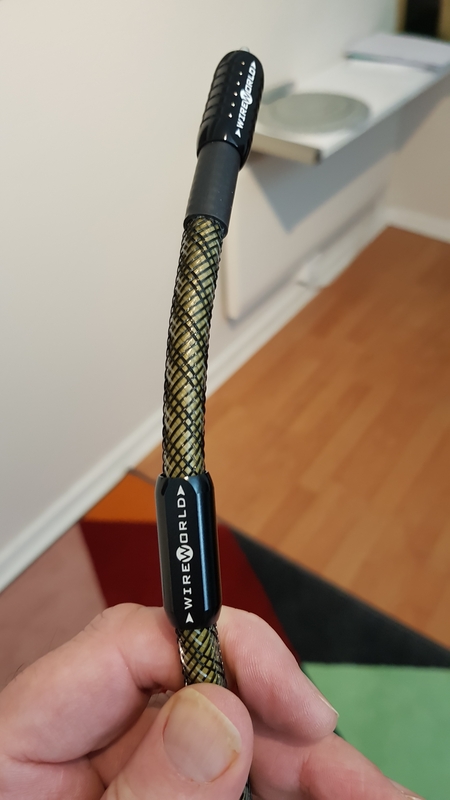 so thought I'd blab a bit about cables and how I got to my final setup. Cables do make a difference. Prior to getting my current Dac I ran a Logitech Transporter, which though it had a great Dac inside I preferred it as a transport into my Young Dac at the time. 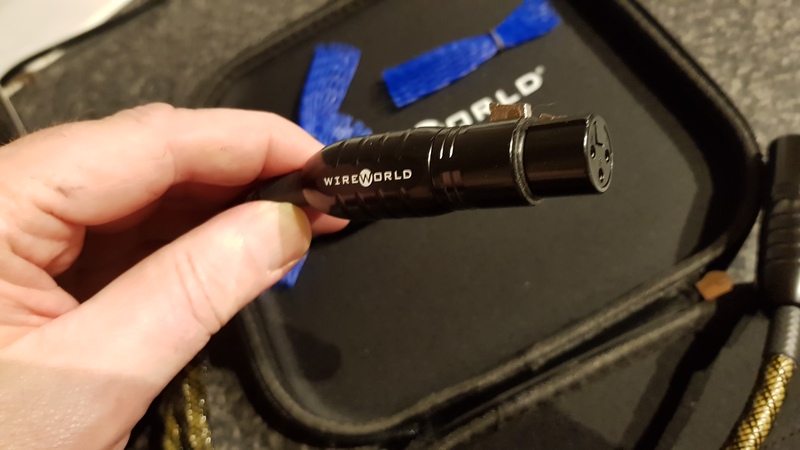 Was always on the lookout for the "best" way to hookup the Transporter to a Dac, so I spent a long time trying different options, Optical vs RCA, which cables, even BNC and XLR connections and different brands of cables. Looking back I think this played a big part in my getting a bit jaded with the whole system merry-go-round "thing"and I got a little bit fed up with all the sidegrading I was doing! Turned out XLR was the best connection for me, tried all sorts of cables some of which are below. And THEN it turned out (Dac dependant...) that i2s was far and away the best digital connection. So it's what i use nowadays. 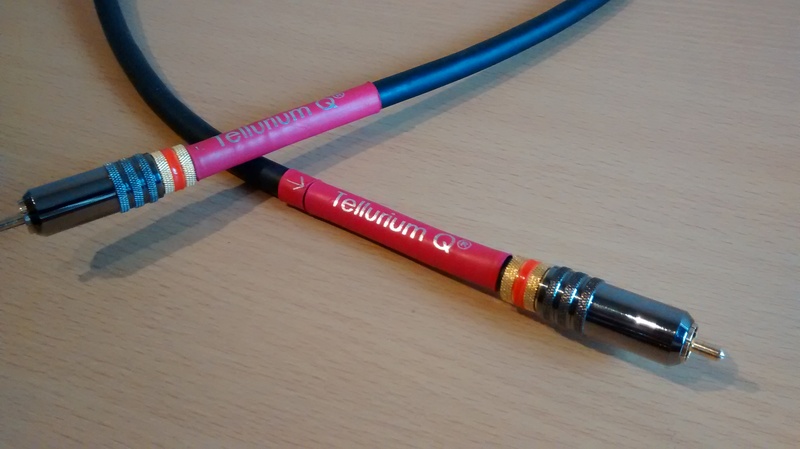 Linn Black > Tellerium Q Black > (the infamous) SLIC interconnect > Brian's Klotz (Better than the SLIC) > Wireworld. With the new Preamp, its XLR if I can. 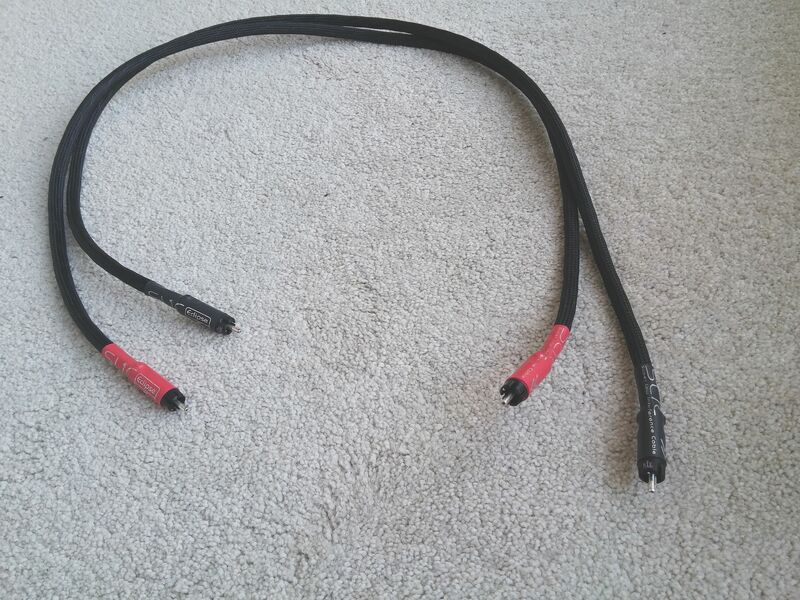 Think we know what Brian's Klotz cables look like, so here's what I finally settled on, best I've ever heard. Spend more time nowadays on American high end forums and Wireworld kept coming up in some pretty esoteric systems. Wanted to keep my Valve power amp (with its big transformers) a distance away from my valve input Pre-Amp, so needed a 1m RCA. I wanted to know I wasn't limiting the potential of my amps, so went for one of these. Not the cheapest, but worth every penny imo. So thats was the connection between Preamp and power amp done, had to be RCA as my Poweramp doesn;t have XLR's. 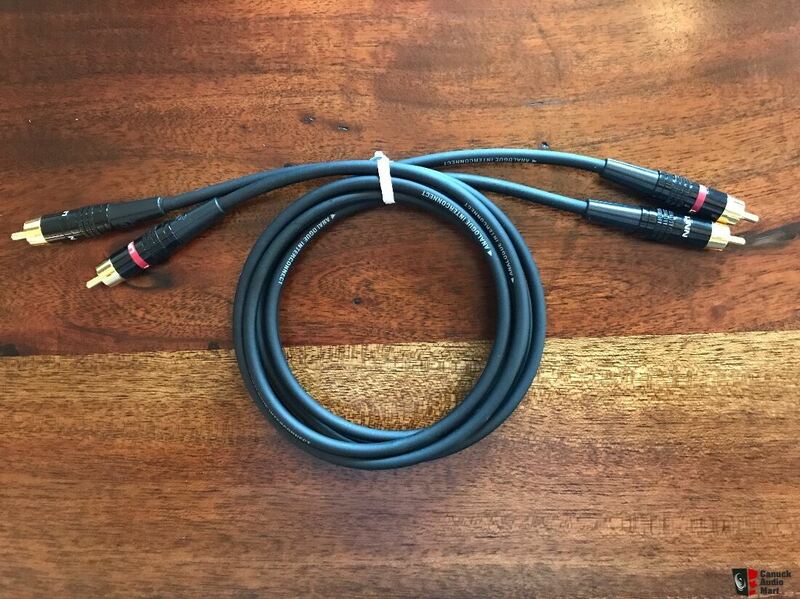 Again, didn't want to limit the performance of my Dac connecting to the Preamp, so again went with the same cable, this time in an XLR connection. Thankfully I could get away with an 0.5M length here, which took the sting out the cost a fair bit. 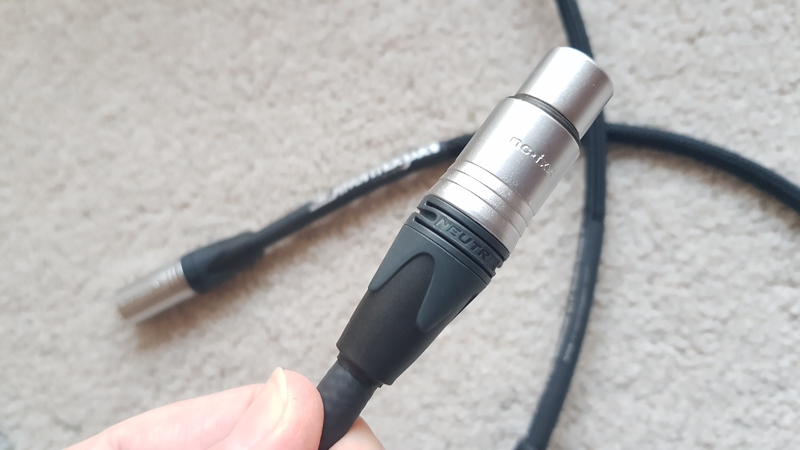 I tell you, these cables are built to last, but I needed another XLR cable to connect my PS Audio phonostage (shown earlier in the thread) to the Preamp. But I needed a 1m length, and as vinyl (sorry!) 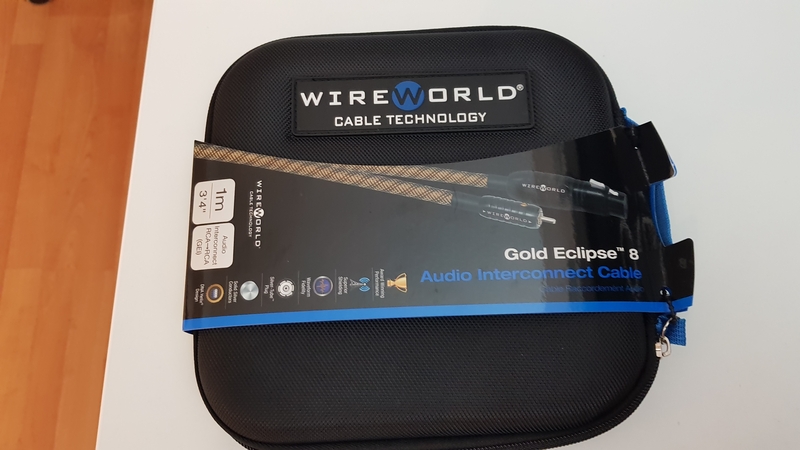 is now a secondary source compared to the digital stuff I thought twice about spending what I did on a second 1m Wireworld cable. 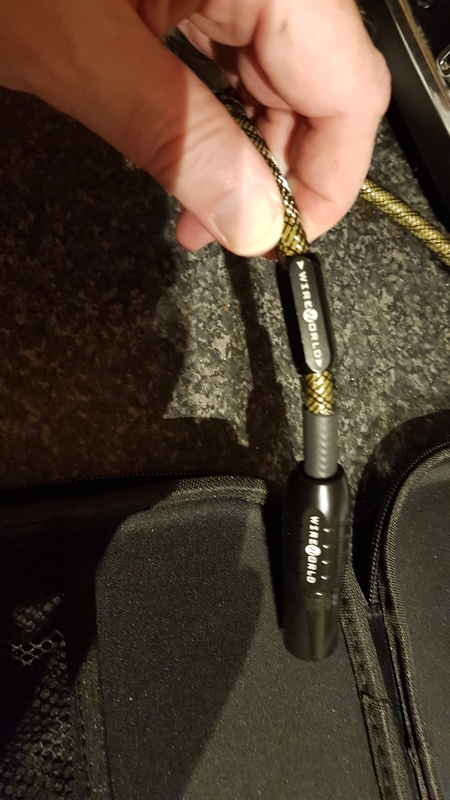 Reality's gotta kick in at some point, but thankfully the Dealer I bought all my PS Audio gear from, Igloo Audio, do their own XLR cable which Peter@Igloo was happy to throw in a superb XLR cable for free with my new Preamp. 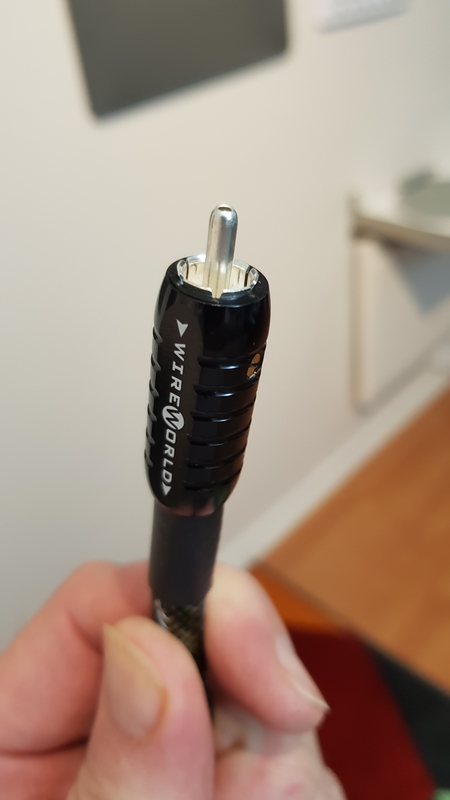 School of thought about balanced XLR cables, given their "Pro" nature, that they aren't as susceptible to the problems of single ended RCA cables. And whilst this is true in part, they certainly don't all sound the same! 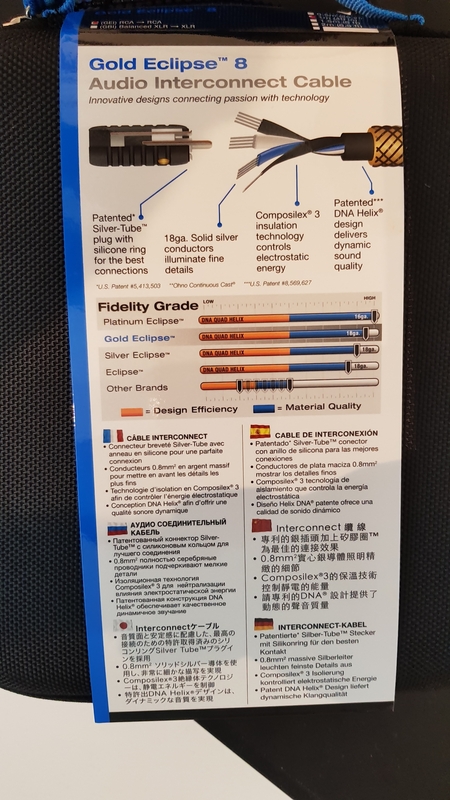 I tried probably 4 or 5 different XLR cables from Bluejeans, DH Labs, Morrow Audio and Mogami when looking for the best connection from my Transporter to Dac...and differences could easily be heard. As vinyl was secondary to my listening habits I decided that I didn't need to spend Wireworld money to call this one done. The new phonostage had an i2s connection to my Dac which is very cool, especially for ripping vinyl to 24/96, the PS Audio phonostage's analogue outs sounded better into my new Preamp than digital i2s connection via my Dac. The new Pre's very transparent and it's letting the quality of the phonostage's output stage show how good it actually is. 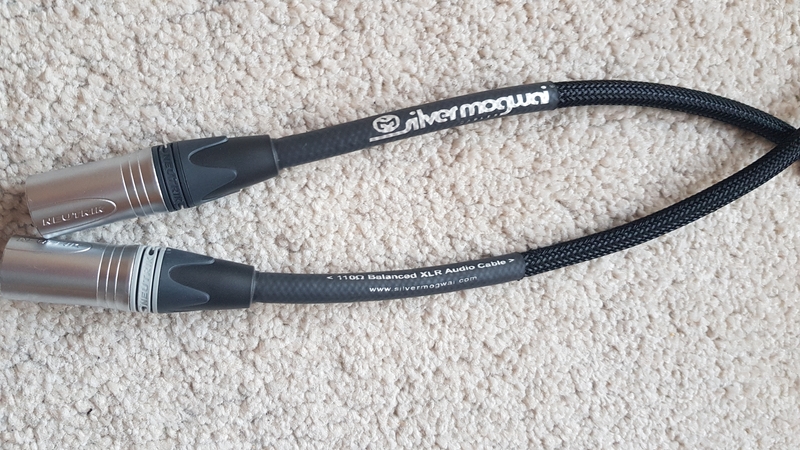 So needed an XLR cable here, but didn't want to break the bank. Getting one for free, and even before the new Pre and cables I LOVED the sound of my vinyl rig hooked up with the Firebottle phonostage even with Klotz MC5000 cable into my old Densen pre...WAY more than good enough. The new set up is a lot,lot better. Was going to get my SME V rewired with Kondo silver cable...naa, not necessary. So thats interconnect cables done and dusted then. Next up, New Adventures in (powering) Hifi. 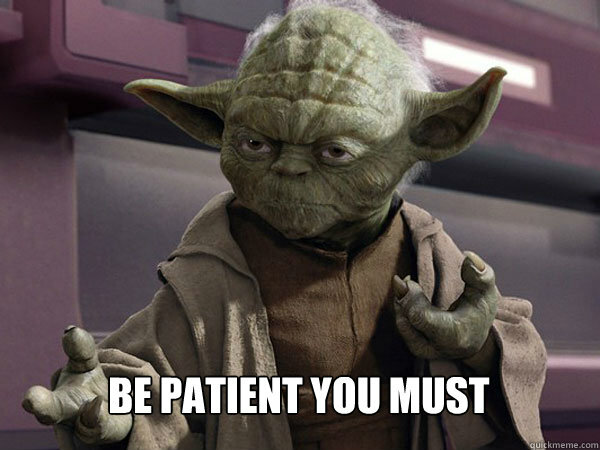 Last edited by Gazjam; 02-02-2019 at 16:24. Last edited by Gazjam; 02-02-2019 at 18:05. Good stuff. Always interesting reading your various 'mutterings' on audio, Gaz-baz... So, I remember asking your somewhere, I forget where, what your new valve preamp was, and so don't know if you replied or not. So, I'll ask again here, since it's your Gallery thread... What is it, and could we have some pics of the beastie? Lol... Ok, but when you reveal it, I'd like to know what the big secret was - and it better be good!